NET RISK WORK project was invited to be presented into the anual meeting organized by the Joint Planted Forests Facility and the IEFC. Taking advantage of the event, NET RISK WORK has also be present during the scientific seminar on “Global Change and Associated Risk: Trends and Preparedness in the Planted Forests of Europe”, which took place on 27th June, under the frame work of the project Transnational Plans for the Management of Forest Risks – PLURIFOR. The specific Atlantic conditions; in terms of weather, vegetation type, forestry economy, land ownership characteristics and traditional use of fire in agroforestry, of North Portugal and Galicia’s Region (Spain) provide a special forest context and wirldfire risk scenario which differs substantially regarding the Mediterranean conditions. Therefore, fire risk management will need to take into account all these particularities, aiming at mitigating social impacts and minimizing economicals and environmental losses. All in all, forest will have to face a wide level of complexity into the up-coming years, due to increasing pests trends which will favour forest conditions to other natueral hazards vulnerability. 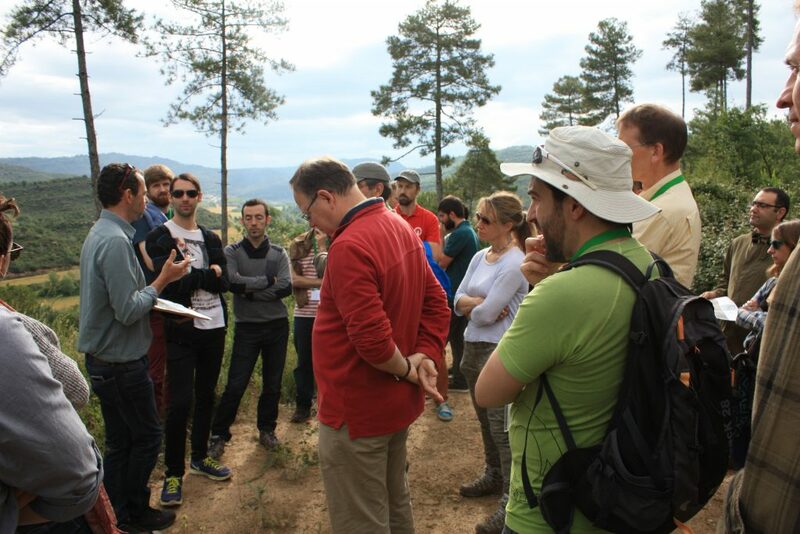 The discussions where complemented with a fieldtrip across the Alto minho region, visiting many forest affected by 2017 fires, as well as all the restoration measures implemented. 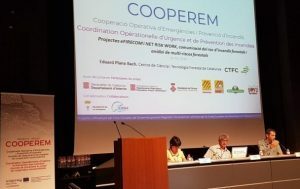 The NET RISK WORK project has participated on the kick-off meeting of the cross-border COOPEREM project. 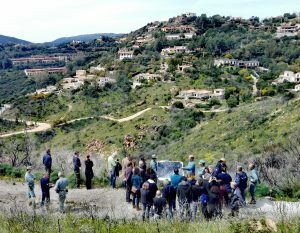 The project seeks to enhance and strength the cooperation between French and Catalan intitutions to jointly face the wildfire risk prevention and management. In this sense Mr. Eduard Plana on behalf the NET RISK WORK partnership has putted efforts to lighlight the need of collect – connect -share knowledge and experiences to empower risk managers and stakholders, in order to build up a resilient society. 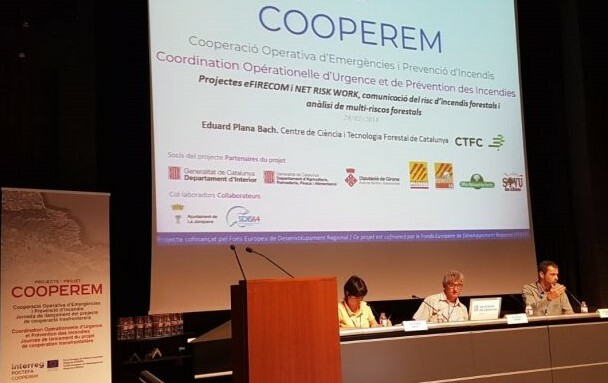 It has been also presented the eFIRECOM project as well coordinated by the CTFC and Mr. Plana – focused on the efficient wild fire risk communication to increase society involvement and resilience. 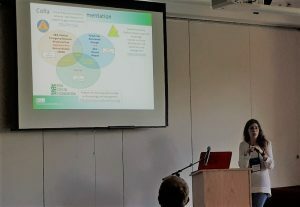 Into the framework of the NET RISK WORK project, the European Wildfire Risk Node – EWRN was presented during the Fire Continuum conference that took place in Missoula (US) in May 2018. The conference gathered researchers and practitioners mainly from the US but also from other world regions. The initial steps of designing and defining the strategic lines of work of the EWRN were presented, as well as the services, actions and experiences planned. 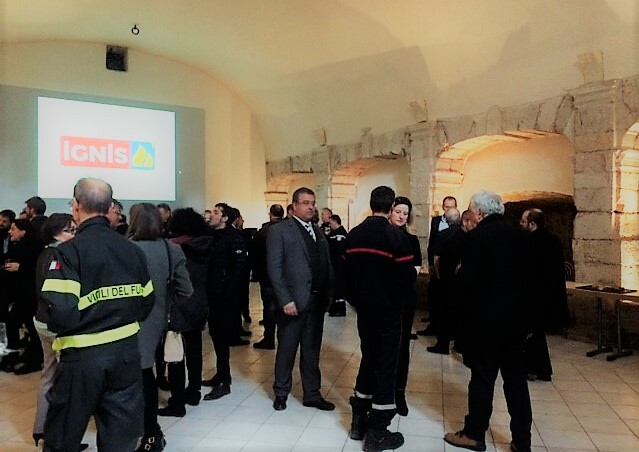 A three days workshop has been held in Cagliari in the framework of the NET RISK WORK project, by the hand of the General Directorate of Civil Protection of the Autonomous Region of Sardinia (DGPC-RAS). 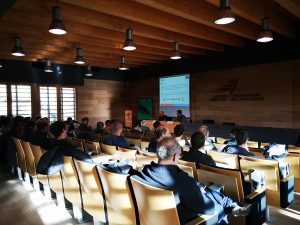 This workshop is the continuation and complements the discussions and results figured out during the 1rst workshop one held in Solsona during October 2017, focused in “Managing forest risks towards disaster reduction” in the specific cases of wildfires, storms, floods and avalanches risks, as well as their potential interactions. In the present event, the main goal was to provide a common meeting and discussion space on expert knowledge about wildfires, floods, storms and avalanches risks, with particular emphasis on emergency management, community involvement, risk communication and policy development. 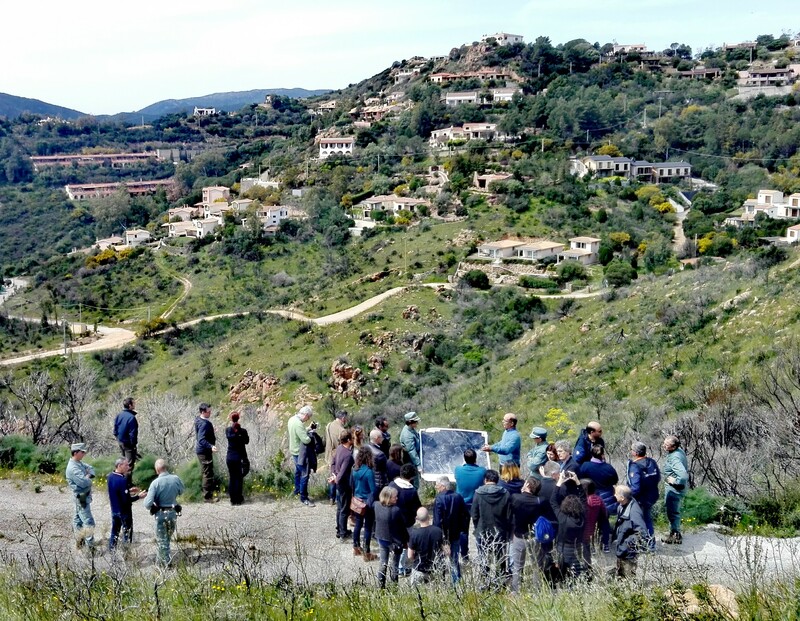 All in all, a total of 40 experts across 9 diferent european countries were mobilized, representing the differents realitis and experiences of Switzerland, Germany, France, Denmark, Portugal, United Kingdom, the Netherlands, Italy, Spain and Catalonia. 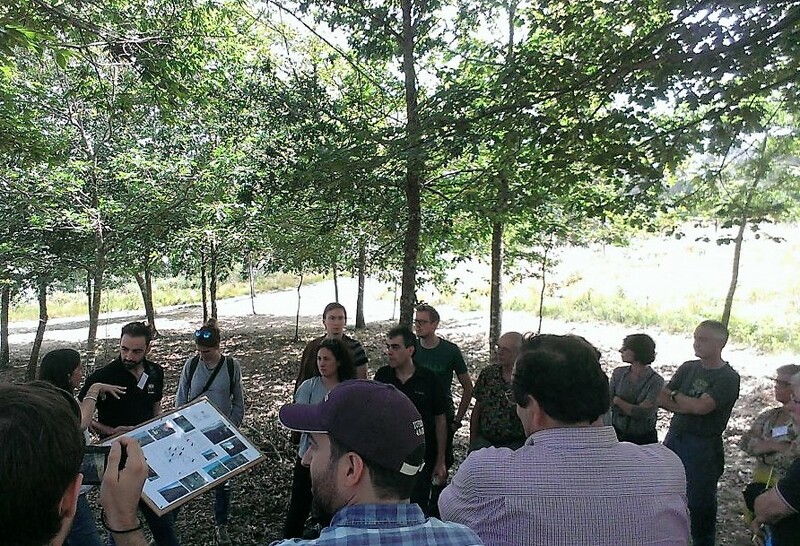 To complement the conferences and focus groups, two field trips were conducted to specificaly analyze the forest fire risk-emergency management into the wildland urban interface areas, and a second case focused on flood and flashf-floods emergency-recovery management in Sardinia. In sum: a perfect ocasion to collect-connect-exchange risks knowledges and experiences. 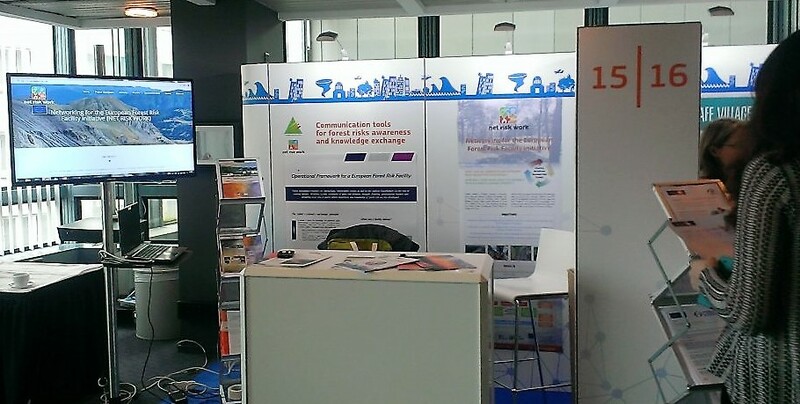 The NET RISK WORK project has been exhibited during the 6th European Civil Protection Forum 2018 “Civil Protection in a Changing Risk Landscape”. The event brings together the European civil protection community to take stock of common achievements in the disaster risk management field, share best practices and ideas, and discuss ways of addressing new challenges together. The Forum is also important for strengthening cooperation with international partners and the European Neighbourhood. 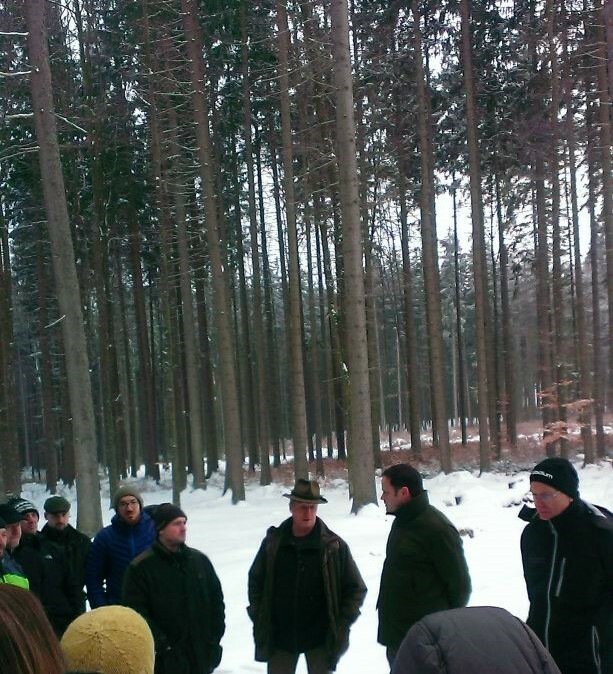 Specifically, Net Risk Work consortium, represented by CTFC, EFI and PCF, has emphatized on how forest risks are increasingly affecting societies as well as the potential trends of risk interaction under climate change context. 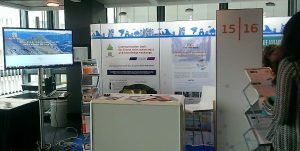 Visitors have shown many interest on the “risk platform” concept as a tool for networking and expert knowledge risk communication and sharing, as it presents some paralelisms with the Disaster Risk Management Knowledge Centre (DRMKC) with regards the functioning and structure. Finally, we get the oportunity to present a summary of the project to the Commissioner of Humanitarian Aid & Crisis Management, Mr. Christos Stylianides during the official opening of the exhibition. NET RISK WORK project has participated in the exciting kick-off workshop of the SURE project (SUstaining and Enhancing REsilience of European Forests). The event has addressed disturbance related risks as an integral part of sustainable forest management. 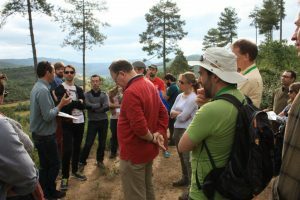 Sorms, avalanches, wildfires or biotic hazards were presented as the main forest hazards present across Europe, as well as new management challenges posed by climate change. Amongst other projects, NET RISK WORK was presented as an existing initiative in building-up network, and adressing how it can support a European Forest Risk Facility. 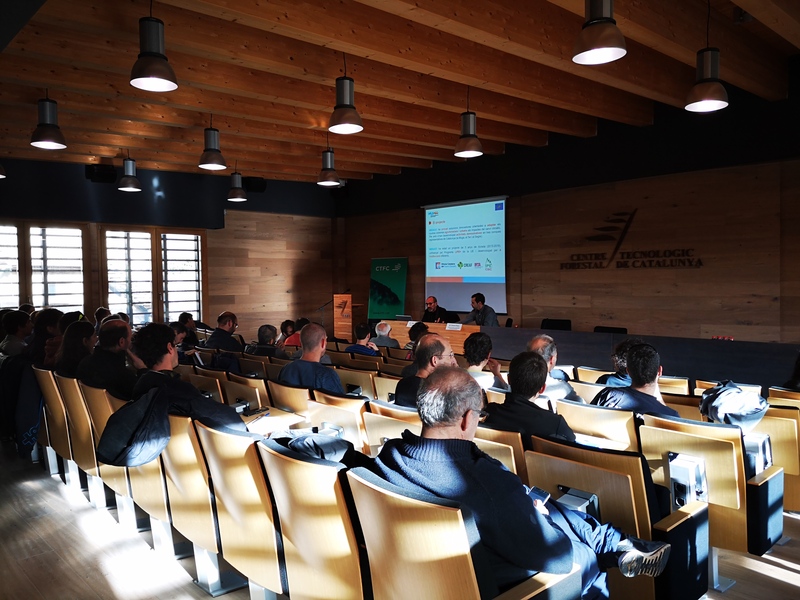 During the event, is has also being defined the conditions, pre-requisites, roles and functions of a ‘European Forest Risk Facility Secretariat’ and of regional network nodes, presenting the European Wildfire Risk Node, being developed under the NET RISK WORK framework. I sum, the event was an unbeatable situation for expert knowledge exchange as well as to experience practices on forest management aiming to enhance forest resilience in conifer production forests. 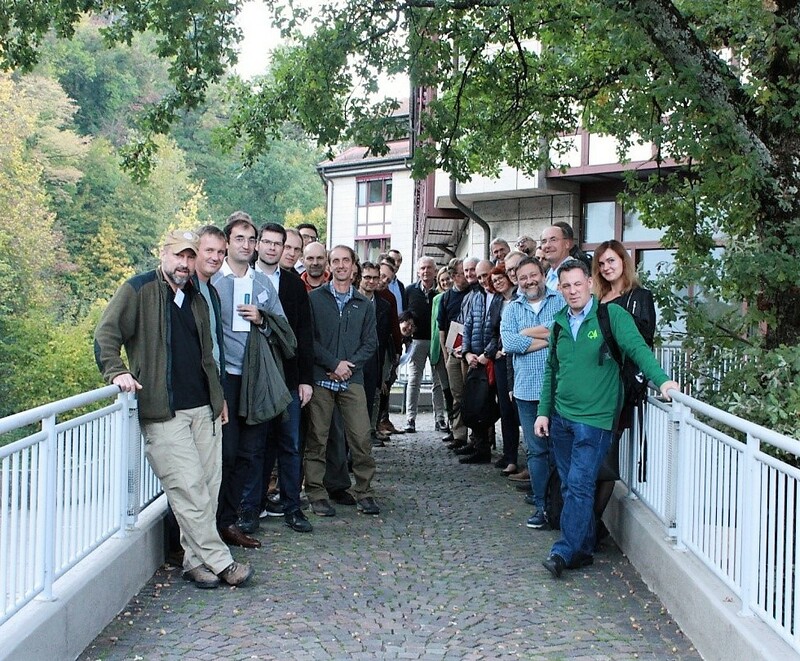 NET RISK WORK project was present during the final seminar of the project IGNIS, which served to led know about it scope and objectives to a total of 50 expert firefighters coming from France, Italy, Portugal and Denmark, and having some discussions about risks and potential cascade effects up coming in the near future.